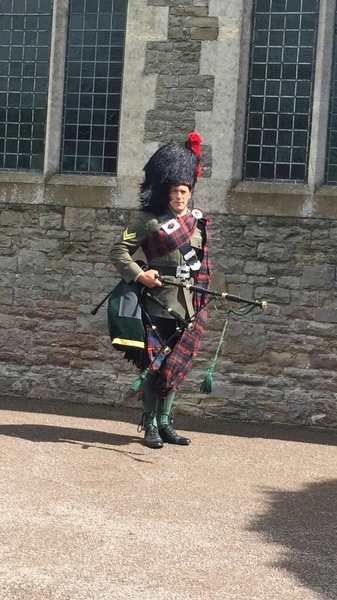 Scottish Day, Evening and Full No1 Uniform. 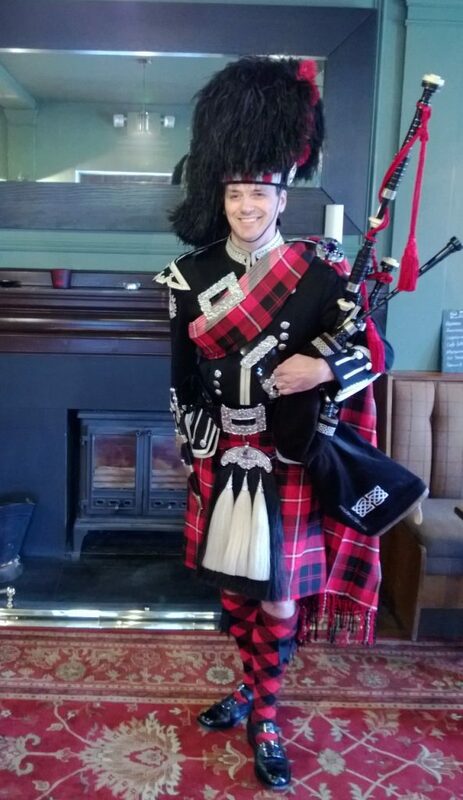 Alan is your piper for all occasions. He is based centrally in West Yorkshire but willing to travel anywhere in the UK. 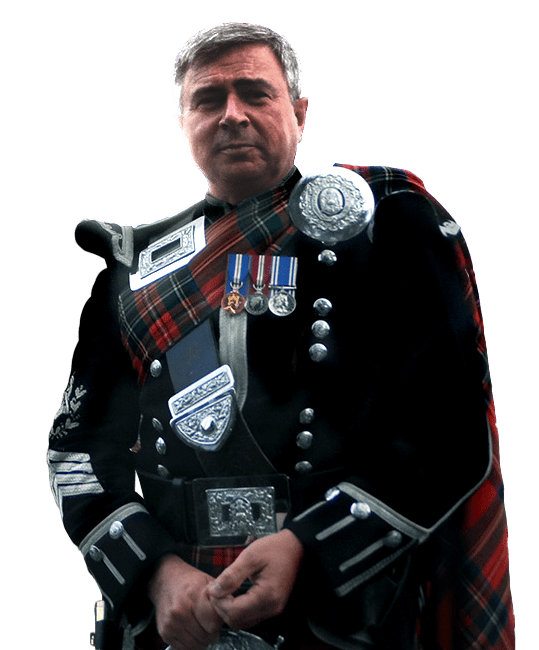 His experience of playing the Scottish bagpipes extends over 40 years, playing solo and in world class pipe bands and has played at all types of occasion. Every enquiry is treated and priced individually to guarantee that your piping experience is tailored to your requirements. He also has three different dress styles to choose from. Alan has appeared on TV and radio, orchestral performances, international music and dance festivals and pipe band competitions in Britain, America, Canada and Europe. He is very experienced and has played at all types of occasions including weddings, funerals, corporate functions, parties etc. He also plays for Highland and Scottish Country dancing and ceilidhs. 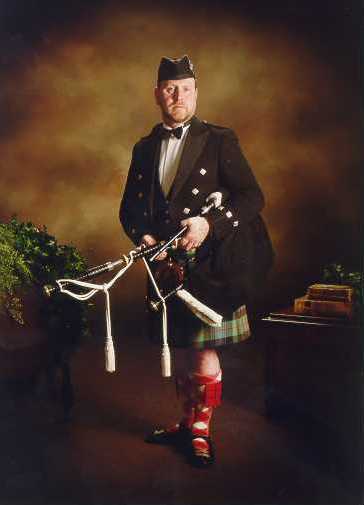 With his long experience and extensive repertoire he can suggest tunes or play your requests if suitable for the pipes. With his knowledge Alan can advise on organising Burns Suppers and is an expert at delivering the “Address to a Haggis”. He has also played at many funerals and promises a discrete, professional and punctual service at all times. 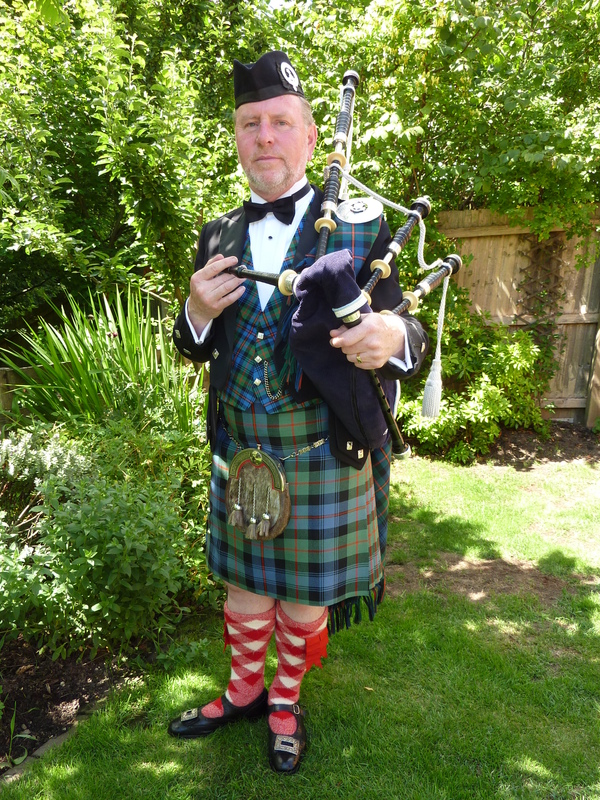 From a very wide repertoire of tunes for the pipes he can advise you on selections from well-known favourites to tunes with a special meaning for your occasion and for particular times during your function. He will also endeavour to play special requests if suitable for the pipes. Based on experience, he will play selections of tunes of his own choosing to suit the situation and mood and will also position himself accordingly. He admits to having brought a tear of joy and emotion to many an eye and to have set people dancing the next. The times when he plays are quite flexible and can be as you would like and he is used to adapting to the situation at short notice. Much of Alan's time is taken in getting ready, travelling to and from the venue so once he is there the times he plays and the length of time he is there is fairly flexible dependant on other commitments. Alan will arrange to meet you (if not too far away) or let you know where he will be playing to chat about tunes and play through some selections. 'Well Alan that's it all over and we are all just coming down to earth. Yvonne and Tom set off on honeymoon last night, African safari then a beach holiday, so they will be able to relax soon. We are so grateful for your time, effort and professionalism on the day. You made the occasion so special for us and our guests, some of whom travelled from Australia, America, Canada and Spain. -Ron.